South Melbourne is an ever growing suburb of Melbourne, with urban sprawl now making a massive footprint around the southern section below the Yarra. With this expanse comes a LOT of building, and therefore a LOT of glass to tint. Our South Melbourne window tinters have worked and lived around the city for their whole lives, and have watched the tinting industry evolve from the simple mirror films of 25 years ago, to what it is today with Security films, UV blocking films, Thinsulate type products, and of course decorative window coatings. If you are looking for Glass Coatings, or rather, Window Tinters around South Melbourne, contact us for a quote! 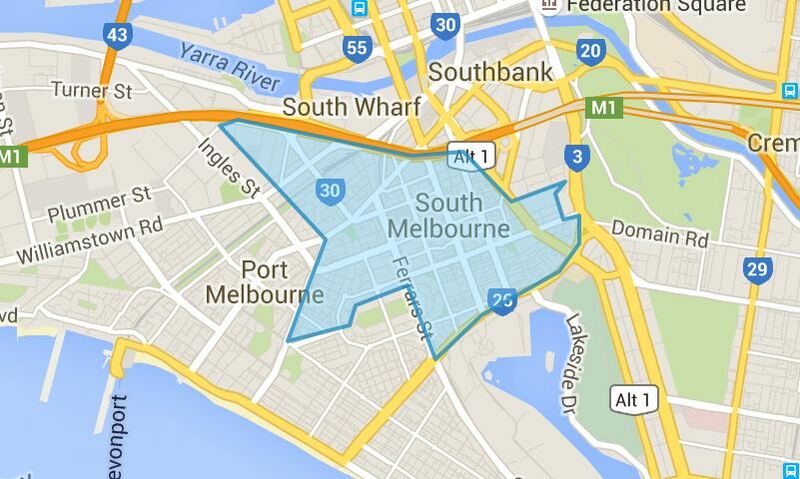 Covering Melbourne CBD, Port Melbourne, South Melbourne, Albert Park, the CBD, North Melbourne, and the Eastern Suburbs.